Buddha Shakyamuni, Western Tibet 12th/13th century, brass alloy, permanent loan, collection Berti Aschmann. Artworks from China, Japan, the Himalayas and Southeast Asia tell of the beginnings of Buddhism in India and its spread across the world, including Switzerland. 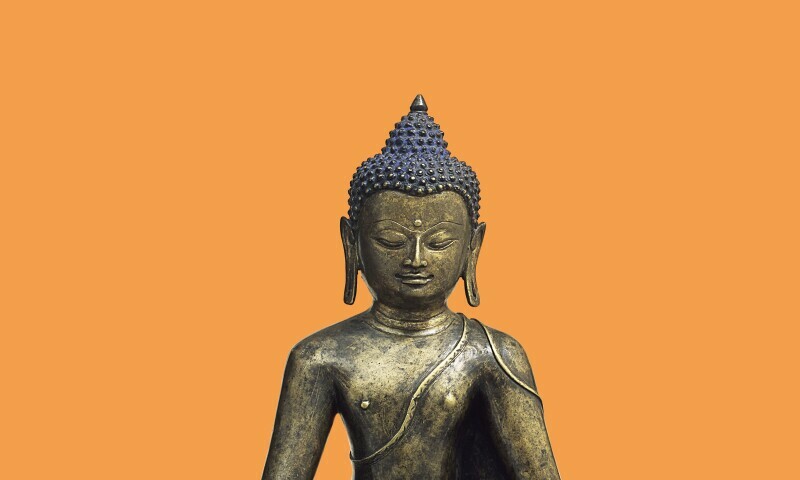 Select experts and practising Buddhists introduce viewers to key concepts of Buddhism and explain terms such as nirvana, karma, and compassion. Discovery tours for different age groups, a short ABC of Buddhism, as well as playful interventions allow visitors to immerse themselves in the fascinating and intricate universe of this religion.